Did you know that women account for less than five per cent of the construction trades workforce? The School of Trades and Apprenticeship wants to change this statistic by encouraging women to pursue an education and career in trades. Hear from some of our alumni about their role in the industry. If you have the determination and you work smart — not hard — you can accomplish anything you put your mind to. What I love about being a millwright is that every day usually presents a new challenge. It's not always an easy job, but it's great. I believe women pay more attention to detail and have a certain style for organization, possibly giving us a one-up. In high school it was easy to get discouraged by an old-school mentality towards women in trades, that somehow we didn't belong. But that's not true, and the possibilities for women are endless. In trades, it's about getting the job completed correctly and safely, not about physical strength. Women should join trades and technology because it's a career option in demand in the current job market. It's a creative industry where you are always learning something new and interesting. Trades and technology keep our society and economy moving forward, and in order to compete in today's global markets, this industry must be able to adapt to the times. It is an industry that has seen minimal innovation over the past decade and women are perfectly positioned to break this trend. Being motivated to enter into an industry where one is a minority - an industry where one will likely face scrutiny - requires grit and an entrepreneurial spirit. The type of people ready to take on that challenge are the ones most likely to bring about change and innovation. 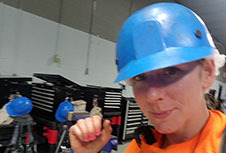 Skilled tradesperson Jennifer Green has made remarkable contributions as an advocate for the advancement of trades and women in trades and technologies, through her leadership, individual achievements and various presentations and speaking engagements. Green graduated from Conestoga in 2008 as a licensed Industrial Maintenance Mechanic - Millwright with a Certificate of Apprenticeship and Certificate of Qualification. 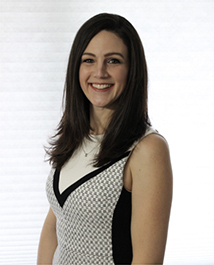 She now works as a maintenance planner/scheduler at the Upper Grand District School Board, where her main goal is to create a robust preventative maintenance program. She is a sought-after speaker and works actively with Conestoga, education partners, Skills Ontario/Skills Canada, community, companies and organizations for the advancement of trades, gender gap and age gap. She is an advocate for the promotion of women in non-traditional careers, a mentor for trades and apprenticeships and a role model for women in skilled trades. Involved with Skills Ontario since 2005, Green helped create the Skills Ontario Alumni Association in 2016 and became the inaugural president where she continues to evolve the association and help others across the province start similar associations.